8K? That’s a huge resolution. It’s 16 times 1080p, or 7680 × 4320 pixels (33,177,600, to be exact). At this resolution a screen can create an image so perfect that it will appear three-dimensional. And, starting October, you will be able to own it, thanks to Sharp launching its first commercial 8K television screen. Don’t expect people to camp in front of the shops and take home these screens as soon as they appear. First of all, they will be big – the one Sharp prepares to launch next month will have a diagonal of 85″ (or 2.16 meters). You need quite a room to fit something this big in it. The second reason why the sales of the new TV might (!) start slow – its price. According to BBC, the new screen will cost not less than 16 million Japanese yen (that’s about $133,000 or £86,000). Talk about prohibitive price. Make no mistake, Sharp’s LV-85001 will not be aimed at consumers. No matter how great the games at the vegas palms casino would look on such a monster screen, not even the manufacturer expects it to be a quick success. But it expects some interest from broadcasters and other commercial entities interested in testing the format. According to industry analyst IHS Technology, the first consumer oriented 8K screens will most likely hit the market at the middle of next year, with sales reaching 1 million units until 2019. “Japan’s NHK is the only broadcaster so far to announce plans to create and broadcast 8K content,” Abhi Mallic, Consumer Devices analyst at IHS told the BBC. But even in these regions the consumers’ interest in these screens might be held back by the screen size. 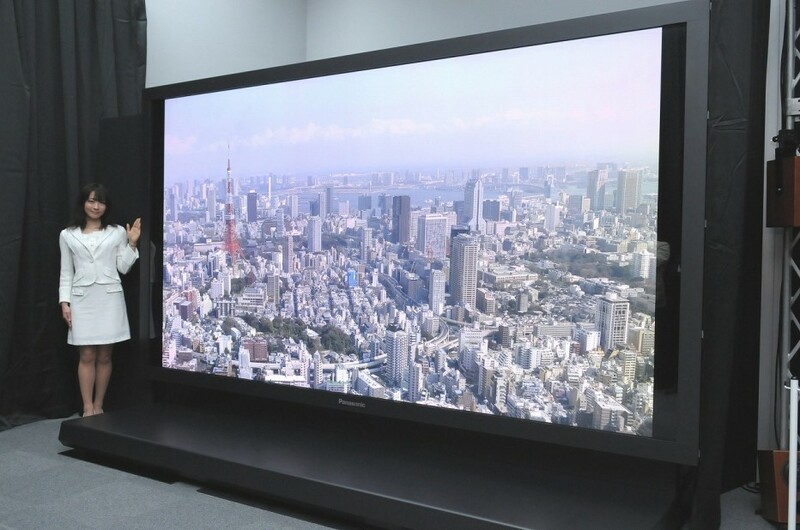 “Japan’s a region in which the average size of TVs sold tends to be smaller, and we think the minimum size 8K TVs would be sold at would be 65in,” Mallic said. Due to restrains in the technology, those actually buying the monster screen will have to tweak things a bit to make use of its capabilities. Its tuner can’t actually handle 8K broadcasts. Due to the huge quantities of data needed to be transferred to the screen, it will have to be fed through four (!) separate HDMI cables. And even using these workarounds will result in an image with a low pixel density – 104 ppi, far below what modern day smartphones offer their customers. While not necessarily a consumer-oriented technology, 8K could find its use in other areas. It could be used to offer better imagery in keyhole surgeries, as Japanese news site AV Watch suggests, and it could also appeal to marketers, who might use these screens as video walls or virtual shop window and billboard displays.